In plain carbon steels, it is often difficult to separate the bainite reaction from the ferrite and pearlite reactions, because these phases can form under similar continuous to bainitic. 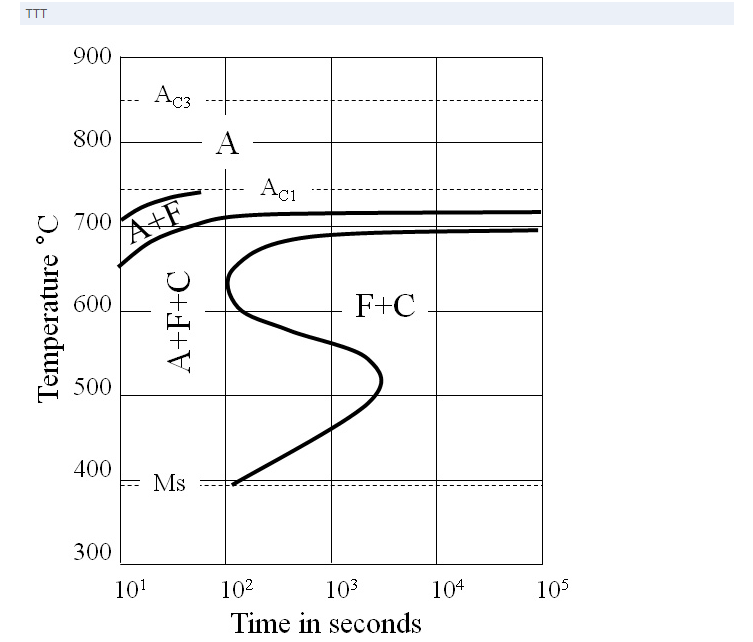 For example, the TTT diagram for a 0.8% C steel is a continuous curve although there is both a pearlite and bainite reaction occurring, but it is difficult to disentangle the reactions sufficiently to study their kinetics. There are two important features of bainite kinetics which can be shown by a variety of techniques, e.g. 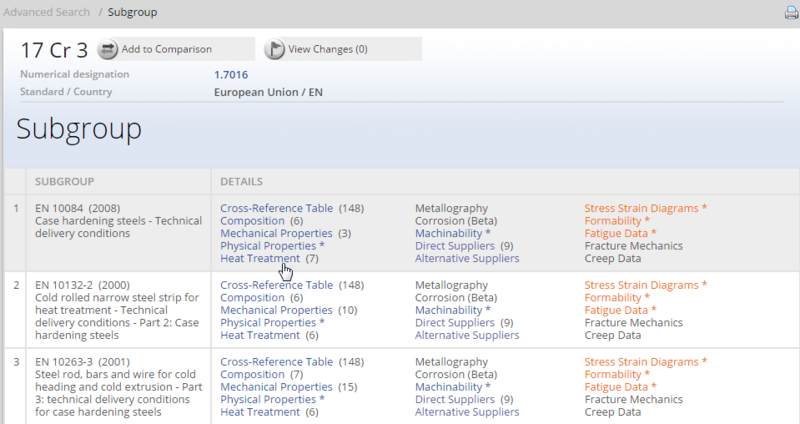 dilatometry, electrical resistivity, magnetic measurements and by metallography. 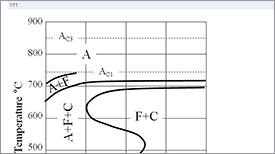 However, the addition of certain alloying elements separates the reactions to the extent that they can be represented as individual curves on the TTT diagram, which then takes on a more complex form than the familiar C-curve. There are two important features of bainite kinetics which can be shown by a variety of techniques, e.g. dilatometry, electrical resistivity, magnetic measurements and by metallography. 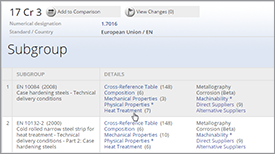 First, there is a well defined temperature Bs, above which no bainitic will form, which has been confirmed for a wide range of alloy steels and has been correlated with the structural transition from Widmanstätten ferrite to upper bainitic laths. 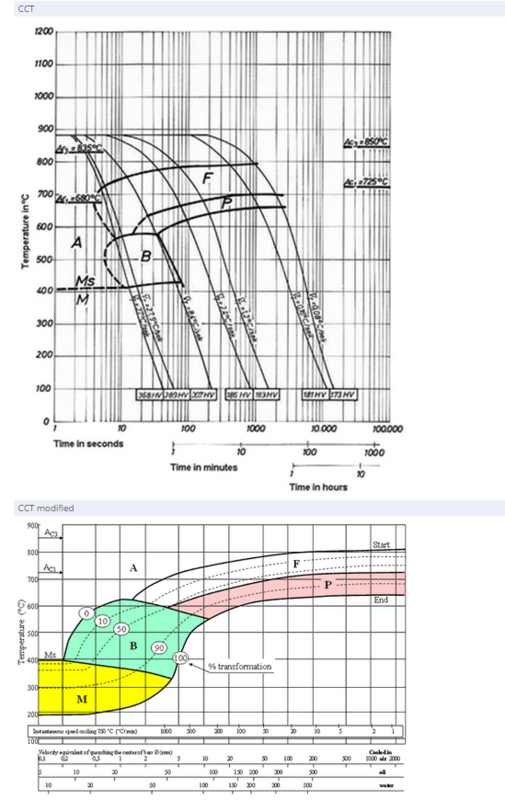 Second, below Bs temperature and time dependent process take place over a wide temperature range (up to 150°C), which does not go to completion. The bainitic reaction has several basic features of a nucleation and growth process. It takes place isothermally, starting with an incubation period during which no transformation occurs, followed by an increasing rate of transformation to a maximum and then a gradual slowing down. Using techniques such as thermionic emission microscopy it has been possible to study directly the progress of the bainite reaction. It has been found that upper bainitic plates lengthen and thicken during transformation by the movement along the plate boundaries of small steps which appear to be diffusion-controlled. The plates grow at a constant rate edgewise, which leads to a model for the reaction in which the driving force is provided by partition of the carbon from the ferrite to the austenite, the actual growth rate being determined by the rate of diffusion of carbon in austenite away from the γ/α interface. Other alloying elements. 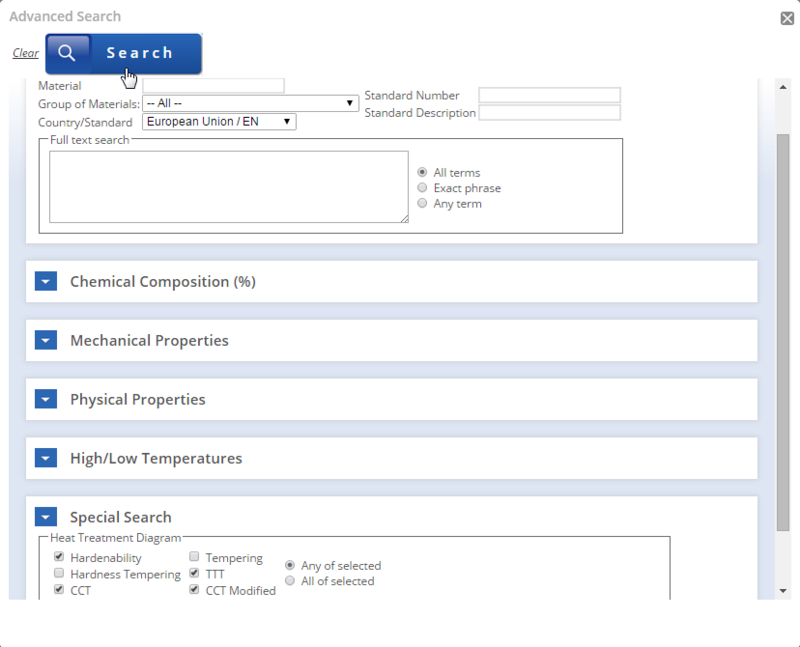 In plain carbon steels, the bainitic reaction is kinetically shielded by the ferrite and pearlite reactions which commence at higher temperatures and shorter times, so that in continuously cooled samples bainitic structures are difficult to obtain. Even using isothermal transformation difficulties arise if, for example, the ferrite reaction is particularly rapid the addition of metallic alloying elements usually results in retardation of the ferrite and pearlite reactions. In addition, the bainite reaction is depressed to lower temperatures. 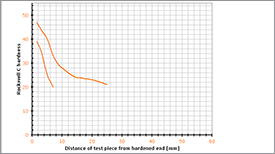 This often leads to greater separation of the reactions, and the TTT curves for many alloy steels show much more clearly separate C-curves for the pearlite and bainitic reactions. However, it is still difficult to obtain a fully bainitic structure because of its proximity to the martensite reaction. A very effective means of isolating the bainite reaction in low carbon steels has been found by adding about 0.002% soluble boron to a 0.5% Mo steel. While the straight molybdenum steel encourages the bainite reaction, the boron markedly retards the ferrite reaction, probably by preferential segregation to the prior austenite boundaries. This permits the bainite reaction to occur at shorter times. 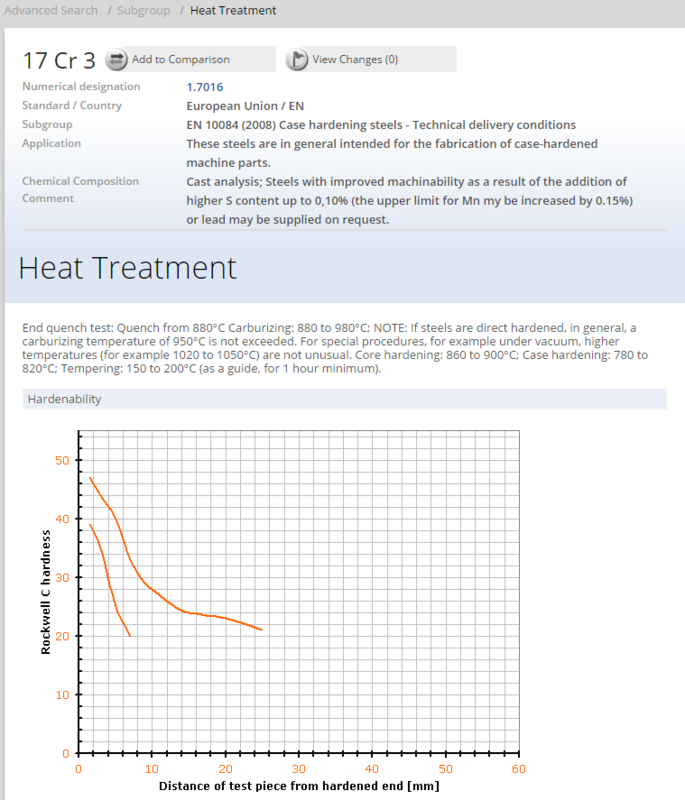 Consequently, by use of a range of cooling rates, fully bainitic steels can be obtained. Bainite frequently occurs in alloy steels during quenching to form martensite. The cooling rate towards the centre of a steel bar is lower than the outside, so in large sections bainite can form in the inner regions with martensite predominating towards the surface. However, low carbon fully bainitic steels have been developed, as described, using 0.5% Mo and very small concentrations of boron, which allow bainite to form over a wide range of cooling rates. Further control of the reaction is obtained by use of metallic alloying elements such as Ni, Cr, Mn which depress the temperature of maximum rate of formation of bainite. As the transformation temperature is lowered, for a constant cooling rate, the strength of the steel increases substantially. 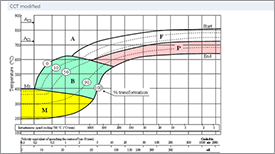 For a series of steels with 0.2% C the tensile strength can be varied between 600 and 1200 MPa. However, this increase in strength is accompanied by a loss of ductility. 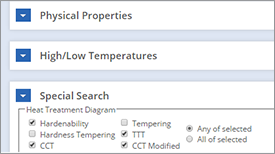 The practical advantage of bainitic steels is that relatively high strength levels together with adequate ductility can be obtained without further heat treatment, after the bainite reaction has taken place. The steels are readily weldable, because bainite rather than martensite, will form in the heat-affected zone adjacent to the weld metal, and so the incidence of cracking will be reduced. Furthermore, the steels have a low carbon content, which improves the weldability and reduces stresses arising from transformation.